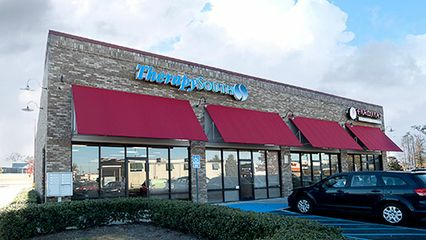 Sandy Edwards, PT is the clinic director for TherapySouth McCalla. She is originally from North Carolina. She graduated from North Carolina State University, then from PT school at UAB in 1992. She has been working with TherapySouth since 2009 and is very grateful to work for such a great company! She is certified in Manual Therapy and board certified in Orthopedic Physical Therapy. Her passion is helping her patients move better so that they can enjoy a more active lifestyle. Outside of work, Sandy is active in her church, and enjoys exercise, travel, and spending with her family. Olivia Deese, PT is originally from Jacksonville, FL. She attended the University of West Alabama where she played volleyball, then attended the University of South Alabama, in Mobile, for PT school, graduating in 2015. All of her time outside of work is spent caring for her four boys: husband, two sons and big bear of a dog, Burley. She loves to eat, be outside and spend time with her family. Abbey Sedlacek, PT grew up in Birmingham, AL. She attended the University of Alabama, much to her dad’s chagrin, then UAB for PT school, graduating in 2017. Her favorite things to do are hike with her dog, Yogi, travel, and play ultimate frisbee. Her mom is a pediatric physical therapist at Children’s Hospital. Growing up, she was able to see her mom’s passion and joy for taking care of her patients, all being compelled by the love of Christ. The Lord perfectly coordinated her life and gave her a passion for others that allowed her to pursue the same career.